Israeli smart energy technology company SolarEdge published its Fourth Quarter and Full Year 2018 financial results this week revealing another record revenue quarter and increasing full-year revenue by 54% even as the company expands beyond its roots as a solar manufacturer into battery and EV charging. SolarEdge reported its most recent financial results on Wednesday, revealing total revenues for the fourth quarter of $236.7 million, an increase of 11% over the third quarter and up 40% over the same quarter a year earlier. Gross margin amounted to 30.2% with earnings per share of $0.27, missing market consensus by $0.30 according to Seeking Alpha. SolarEdge shipped 1.1 gigawatts (GW) of inverters in the fourth quarter, bringing its full-year total to 3.9 GW. For the full-year 2018, SolarEdge’s total revenues amounted to $937.2 million, an increase of 54% over 2017, with a gross margin of 34.1% and earnings per share of $2.69. What makes SolarEdge’s 2018 performance all the more remarkable is the fact that the company achieved consistent record-breaking earnings at the same time as it is expanding its business into both supplying large-scale solar inverters as well as diversifying to include new products such as EV charging and energy storage options. 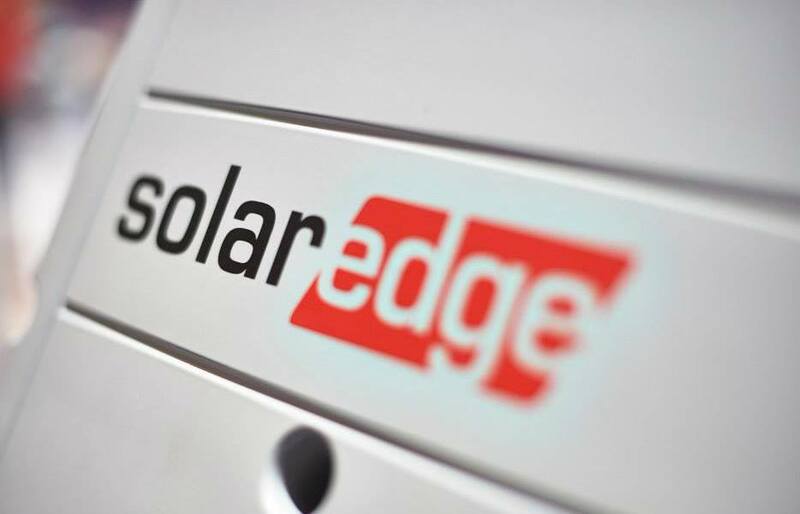 SolarEdge announced in late January that it had closed the acquisition of S.M.R.E. Spa, a supplier of electric vehicle integrated powertrain technology and electronics. The acquisition investment amounted to approximately $85 million for around 57% of the company’s outstanding shares, and SolarEdge will look to acquire the remaining outstanding equity shares over time. The S.M.R.E. acquisition came only a few months after SolarEdge closed the acquisition of battery manufacturer Kokam in a deal worth approximately $88 million. Kokam, a provider of Lithium-ion battery cells, batteries and energy storage solutions, is intended to help SolarEdge grow its battery storage offering. Looking forward for SolarEdge, the company expects to record first-quarter revenues in the range of $260 million to $270 million with gross margins in the range of 30% to 23%. “SolarEdge’s acquisition spree in 2H is beginning to translate into margin contraction,” said James Evans, Global Clean Energy Analyst with Bloomberg Intelligence, who provided his thoughts to me via email. “We anticipate this will persist in 2019 as the company integrates the new lower-margin businesses and tries to realize cost synergies. Gross margin fell to 30.2% in 4Q from 37.5% a year prior as its core solar business was dragged by tariff costs and higher customer-support charges, while the non-solar gross margin was 5.3%. A legacy zero-margin battery order from Kokam contributed to this result, yet this may reverse with SolarEdge prioritizing projects with margins above 10%.